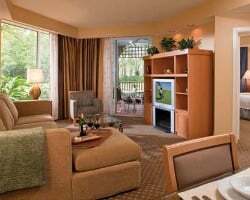 Explore the magic and excitement of an Orlando vacation year after year with your very own timeshare accommodations at Marriott's Imperial Palms Villas. Find timeshare resales and rentals at all-time affordable rates today. Centered perfectly in the vacation wonderland of Orlando, the Marriott Imperial Palms Villas provides a family-friendly retreat close to all of the area's best attractions. From the well-kept grounds of the resort, you'll find Walt Disney World, Universal Studios, and SeaWorld just minutes away, an instant solution for families looking for theme park fun. On-site, you'll find a full-service fitness center, a swimming pool, a sauna, tennis courts, and so much more. The resort's free parking also allows you to conveniently store a rental vehicle to get to and from popular attractions effortlessly. Accommodations at the resort consist of incredibly spacious and welcoming three bedroom villas that come filled with homelike amenities to ensure you're comfortable. You'll find over 1,500 square feet of space that sleeps up to ten guests comfortably. Enjoy your full kitchen, spacious living area with up-to-date entertainment systems, a private balcony, whirlpool spa-style tubs, and so much more. 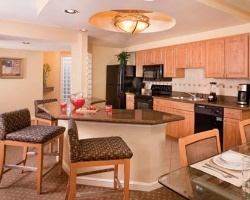 You'll have everything you need to feel right at home during your Orlando getaway. If you're ready to find your dream Orlando accommodations, you can get started today. Fill out the form on this page to learn more about ownership opportunities at the Marriott Imperial Palms Villas, or call a representative at 1-877-815-4227. Purchasing a timeshare resale at Marriott Imperial Palms Orlando can provide you with years of great trips to Florida packed with exclusive owners-only benefits. However, buying a timeshare on the resale market can also provide you with years of guaranteed luxury accommodations and save you money. Timeshare resales are sold by current owners, and not by the resort itself. This means you can make your own purchase offers directly to the seller, and you won't have to overpay for accommodations you don't like. You can even find units priced up to 70% lower than retail costs. Resales at the resort typically come in the form of deeded fixed and floating Marriott timeshare weeks spread throughout the Sport, Summer, and Special seasons. You'll be able to find the unit for you by narrowing down results according to price point, unit size, room features, and more. Additionally, your timeshare resale could lead to further benefits with a Marriott Vacation Club membership. The Imperial Palms Orlando is affiliated with the Marriott Vacation Club, which means resale owners at the resort have the opportunity of a lifetime to join the club and reap the benefits. Resale buyers can use their traditional week and home resort method to plan trips to Orlando, but more potential lies behind upgrading your ownership. By converting your timeshare week to Marriott Vacation Club Destinations points, you can unlock an easier method of making reservations and switching up your yearly trips. You can also use your Destinations points to expand your horizons, and book stays at other Marriott resorts around the globe. Marriott's Imperial Palms Villas is affiliated with Interval International, one of the world's leading timeshare exchange companies. Exchanging your timeshare resale can help you to truly get the most out of your ownership, as it can broaden your vacation potential. Simply obtain your Interval membership, and deposit your accommodations into the exchange network. From there, you'll be able to trade for stays at comparable resorts all over the globe. Additionally, the Imperial Palms Villas is a Premier rated resort, meaning you'll be able to exchange with properties of similar quality. This upscale offering from Marriott comes complete with a wide range of on-site amenities and services to make your vacation memorable. You'll find a luxurious swimming area complete with an outdoor pool and hot tub available for year-round use. Indoors, fitness fanatics can stay active at the fitness center, while the on-site marketplace is the perfect spot to grab a quick snack or last-minute needs. Hit the tennis courts for some friendly competition, or store a rental vehicle in the resort's free parking lot to come and go as you please. Around the resort, all of Orlando is yours. Everyone will want to stop in at Walt Disney World, Universal Studios, and SeaWorld, all of which are under 15 minutes away. Shop 'til you drop at the Mall at Millenia, or hit the links at one of Central Florida's finest courses, like Grand Cypress Golf Resort, or Hunter's Creek Golf Club. Plan a day trip out to Cape Canaveral to visit the Kennedy Space Center, or to Busch Gardens Tampa Bay. 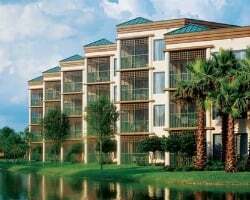 Already Own at Marriott's Imperial Palm Villas?